the guitar body can be achieved by various materials in the case of plastic injection & bi applies injection can also be made of wood or Corian in a CNC machine. wood resume the old concept of guitars made once, but with a thoroughly modern form. corian allows a rigidity and light effects from the components of control, never seen until now. 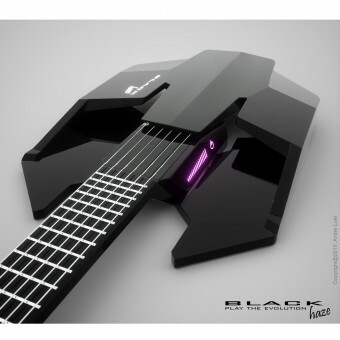 Black Haze Electric Guitar by Andres Lüer Solorza is a Nominee in Digital and Electronic Devices Design Category. · Click here to register today inorder to be able to view the profile and other works by Andres Lüer Solorza when results are announced. 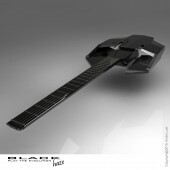 Black Haze Electric Guitar by Andres Lüer Solorza is Winner in Digital and Electronic Devices Design Category, 2010 - 2011. 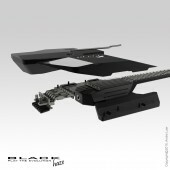 · Read the interview with designer Andres Lüer Solorza for design Black Haze here. · Press Members: Login or Register to request an exclusive interview with Andres Lüer Solorza. · Click here to register inorder to view the profile and other works by Andres Lüer Solorza. 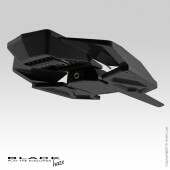 Did you like Andres Lüer Solorza's Consumer Electronics Design? 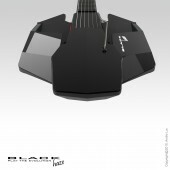 Did you like Black Haze Electric Guitar? Help us create a global awareness for good consumer electronics design worldwide. Show your support for Andres Lüer Solorza, the creator of great consumer electronics design by gifting them a nomination ticket so that we could promote more of their great consumer electronics designs.